At issuu, I owned creating the social strategy around new product releases. 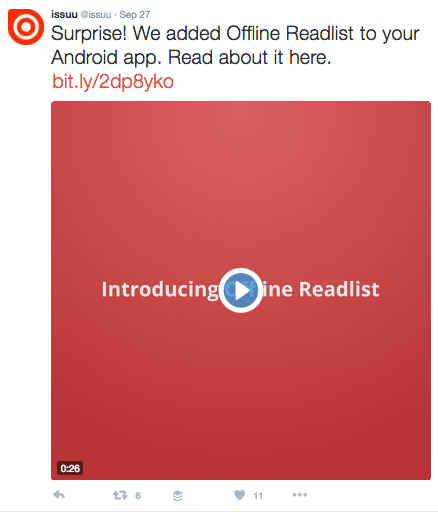 For the Android offline readlist, we had a video and gif used to promote the new feature available in our Android app. I used a mix of Twitter, Facebook, Instagram, and Linkedin to alert our followers.